Summer sport is often lauded as a vital launch pad for the biggest reality franchises of the year. So what happens when everything is turned on its head? Zoe Samios chats with the TV executives to understand how the sporting rights shake-up has hit the networks' strategies in 2019. On a balmy afternoon a week ago, I was asked why all the summer sports codes had changed channels. It was not a conversation about camera angles, commentary teams, the cricket audience split between Foxtel and Seven, or the disappointment that Ten didn’t have the Big Bash League, and ‘What the hell they are doing instead’. It also wasn’t a ‘Jeez, how screwed is Nine now that Federer is out of the Aus Open?’, or ‘Seven wasted their money on that useless cricket team’. In the mind of this young woman it was simple: Why did it change and where could she watch tennis? I was asked the same about the cricket just days later. Consumers, unsurprisingly, do not think about the summer programming schedule the way the media bubble does. Though in the office, it’s a different story. Hours are spent slicing and dicing numbers, churning through the copious amounts of data to figure out the question: Who spent their money more wisely? Whichever way you slice the numbers, one thing is clear: a summer sport is a powerful, influential launchpad for the big reality franchises which commence at the beginning of the year. Sport can be, and has been in the past, a way to maximise promotional reach for new shows, and up the hype before the official ratings period commences. The vision of a My Kitchen Rules promotion in the middle of a tennis court, or Married at First Sight being slapped over a cricket match is still prominent in my mind, even if the two channels switched sports codes. But now, for the first time in decades, the launchpads have changed. Ten, well, doesn’t really have one, and Seven is now promoting MKR through the cricket, and Nine pushed content out for Married through the tennis. When Nine and Seven spoke to Mumbrella, the tennis and cricket were both not complete. But both networks are satisfied to date with their efforts, as they pull off their first summers of tennis and cricket respectively. 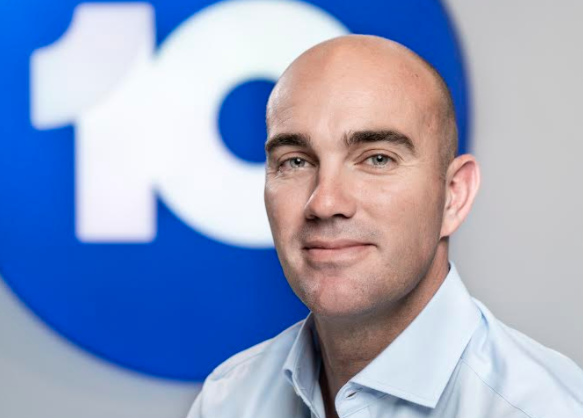 “Advertisers were delivered exactly what they had bought, we pride ourselves as a team on that delivery for clients,” Seven’s chief revenue officer, Kurt Burnette, tells Mumbrella. “And in fact in an unprecedented move, we have had brands already commit to next season. Nine’s chief sales officer, Michael Stephenson, says his network has also exceeded expectations. “From a both a revenue and a ratings perspective we couldn’t be happier,” Stephenson says. 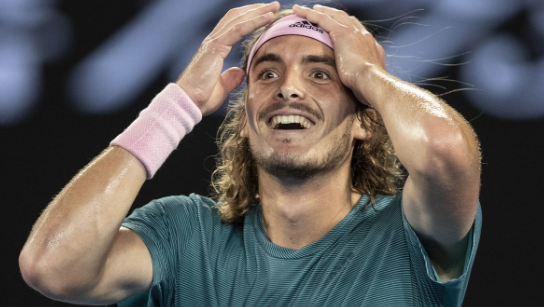 “This year’s Australian Open has performed strongly over the past fortnight and dominated the ratings, particularly in the key demographics that our clients care about. Outside of meeting expectations on summer sport, the year means for the first time in a long time, Nine and Seven have had to think differently about the way they position and pitch the shows throughout the summer sporting season. And of course, Ten had to completely rethink its strategy with the absence of a major sporting code. “What the tennis does is it allows you to promote to a very different audience, and it also gives you a real bulk audience over a two-week period, so it’s far more consolidated in terms of the promotional approach,” Nine’s programming boss, Hamish Turner, explains. “It’s a different audience to that of the cricket, so we’ve definitely tailored our promotional campaign to that new audience. It’s more in line with where our natural audience sits with women 25-54. I expect that that should deliver us good returns. Turner also critiques the positioning of MKR in the cricket this year, describing the audiences as “very different”: MKR being an audience skewing towards 55+ women and cricket being a male-skewed sport. Seven’s director of programming, Angus Ross, concedes they’ve had to promote the show differently. “We’ve still got a variety of different ways we promote the show. It’s obviously different in that we’re promoting it within the cricket, which had a different shaped audience,” he says. The return of MKR and Married at First Sight to screens is much anticipated by the loyal followings they both attract. Last year the shows premiered with metro audiences of 1.182m and 912,000 respectively, while the finales swelled audiences to 1.368m for MKR, and 1.753m for Married at First Sight. This year, MKR is touting its 10th anniversary, and its new 7pm time slot, while Nine is continuing to push its delicate balance between ‘love’, ‘reality’ and drama. But the overnight ratings for the MKR 10th anniversary special could have been concerning for Seven. The special episode pulled just 335,000 metro viewers. Ross insists it was just a brand awareness issue, and they weren’t expecting the audiences of the regular MKR. He also says it is not indicative of the audience numbers to come from this year’s full season. “Overall, that night our share was still more than satisfactory. Do I always want more? Yes. But I don’t think that’s in any way indicative of the series to come. It was a best of show that was run over summer,” he says. However last year, MKR struggled under the weight of Married at First Sight, with Ross telling Mumbrella they just made ‘more noise’. This year, he’s determined and hopeful, but he’s also describing the ‘noise’ made by Married as different to that of MKR. Nine’s Turner is equally confident. “Married was the number one BVOD show in Australia in 2018. It was the number one regular show on linear [TV] in 2018, so it took both those mantles. I expect we’ll see a similar blend of audience in 2019,” he says. In a further shake-up for 2019, the two tentpole programs won’t go head to head at 7:30pm for at least the first few weeks. 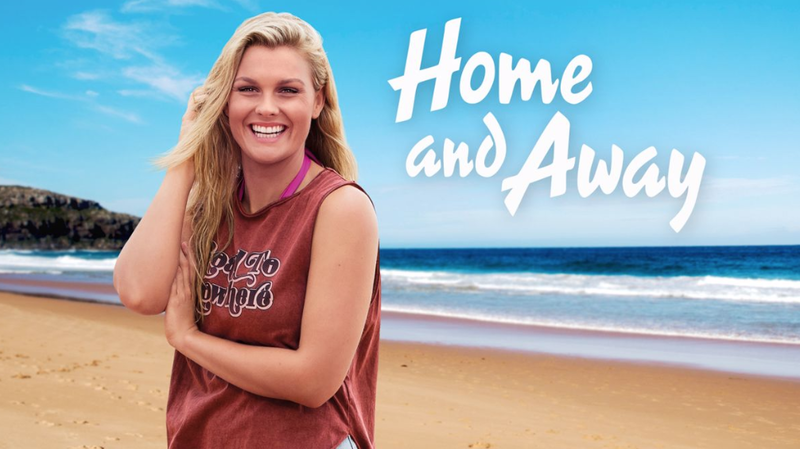 Seven has decided to delay the premiere of its new season of Home and Away, and move MKR to an earlier time slot. Scheduling, Ross says, is an ever-changing beast. “When you have major shifts in sporting rights, it can create changes in schedules as well. Schedules are things that are constantly changing but with our remaining Big Bash matches, it made sense for us to start MKR in the 7pm slot because trying to roll out Home and Away – and it has its schedule – doesn’t do that show any favours in our view,” Ross says. However he says Home and Away will return to its usual 7pm slot after the cricket. Nine’s Turner says it’s a “bolshie” move. “They’ve obviously done it because they can see MAFS coming and strategically they’ve tried to shake things up,” he adds. But there’s something both Turner and Ross agree on: when their noisy, long-standing reality franchises are back , Ten will struggle. Ross and Turner both believe the return of their shows will further hinder Ten’s numbers. Ten has somewhat recovered from low audience shares in December, with results falling as low as an 8% audience share on nights when they had promoted a strong entertainment lineup. But Ten’s chief sales officer, Rod Prosser, doesn’t shy or hide from these numbers. December is important to us and the reality is we found that we weren’t going to carry the cricket at a time when we didn’t have enough time to really properly get our schedule right,” he says. “Maybe the cricket caught us by surprise so that was probably our fault, but the reality is is we knew we were going to have a period that we didn’t have the content that we wanted in that slot. “Our revenue numbers will be some of the worst revenue numbers that we will have in January, in terms of the month, because for the last five years we’ve had Big Bash, so we’d expect that,” he adds. Prosser, who says his newly appointed sales team went in with “eyes wide open” in terms of revenue and audience, assures the doubters that all will be different by December 2019. The plan, as it stands, it to launch its summer off the back of the horse racing. Last year Ten acquired the rights to the Spring Carnival, a one-off event which Prosser says is pivotal to the 2019/20 summer strategy. Next year, Prosser says there will be noisy content right through December – with the exception of a two-week hiatus over Christmas. For now, Ten’s share appears to have recovered slightly. I’m A Celebrity premiered with 1.098m metro viewers and since then has held around the 700,000 metro viewer mark. Prosser says in terms of the delivery of the program, it is meeting expectations. According to figures from Friday January 25, I’m A Celebrity is up 14% in total people for the 2019 season, from a 2018 average of 713,000 to an average metro audience of 811,000 for the series to date. “It’s up 9% in under 50s nationally, but in the cap cities it’s up something like 50% in the under 50s,” he says. “To be honest, to be doing those numbers, for cricket and equally tennis when it was in the first week of its tournament, we were really buoyed by that,” he says. “It’s not only the I’m A Celeb numbers and delivering on that strategy, but it’s also about us being able to launch pad off that. Now we’ve created the platform, which is the part everyone was really skeptical about. In addition to I’m A Celebrity’s earlier start in 2019, the show is only running for four weeks, a move which Prosser says makes the show punchier. From there, the network is set to launch a new slate of shows, starting with Sunday Night Takeaway as well as Dancing With The Stars, and a revamped season of Changing Rooms. These formats will be surrounded by shows like Ambulance, Gogglebox, Show Me the Movie and The Project. For Prosser, it’s all part of the CBS strategy: pouring the money into the right shows and making sure they “don’t miss a punch”. It’s all about ensuring there is constantly an alternative offering. Will it work? The numbers will inevitably show it. But launching a new slate mid way through popular franchises like MKR and Married at First Sight is going to be no mean feat. speak properly … sounds like he’s in grade 3 !